Quadralite Rx400 is a unique product in several respects. 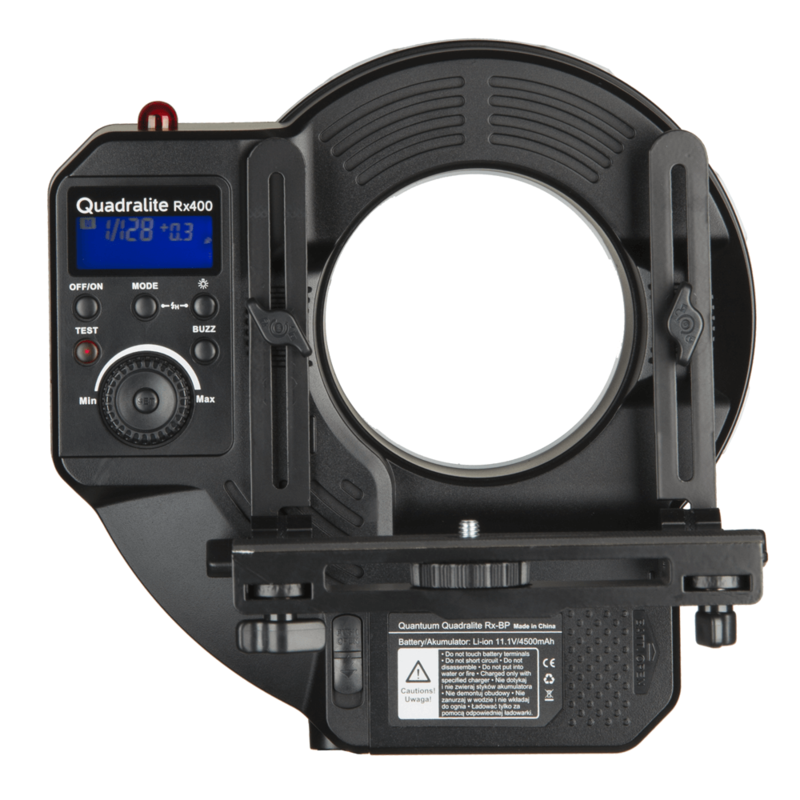 This is a first flash on the market that combines a large ring-shaped flashtube (with the maximum flash output of 400Ws), and battery operation. The product's low weight and its compact size make it easy for storage or transportation, and – what's crucial – ensure great comfort of use. 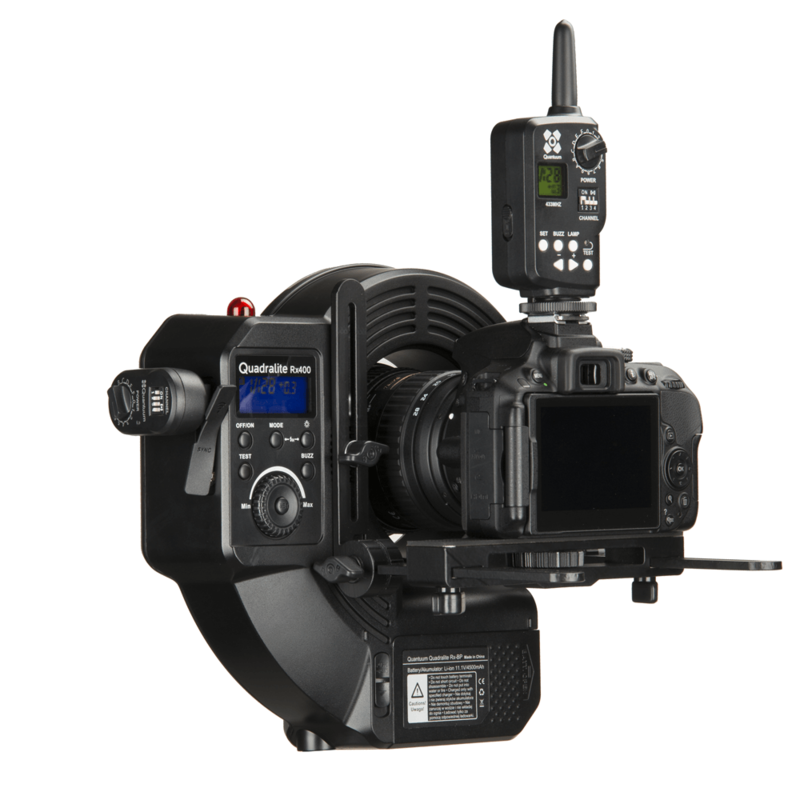 The flash may be used in a studio and on location without the necessity to employ any additional flash generators, inverters or other mobile electricity sources. 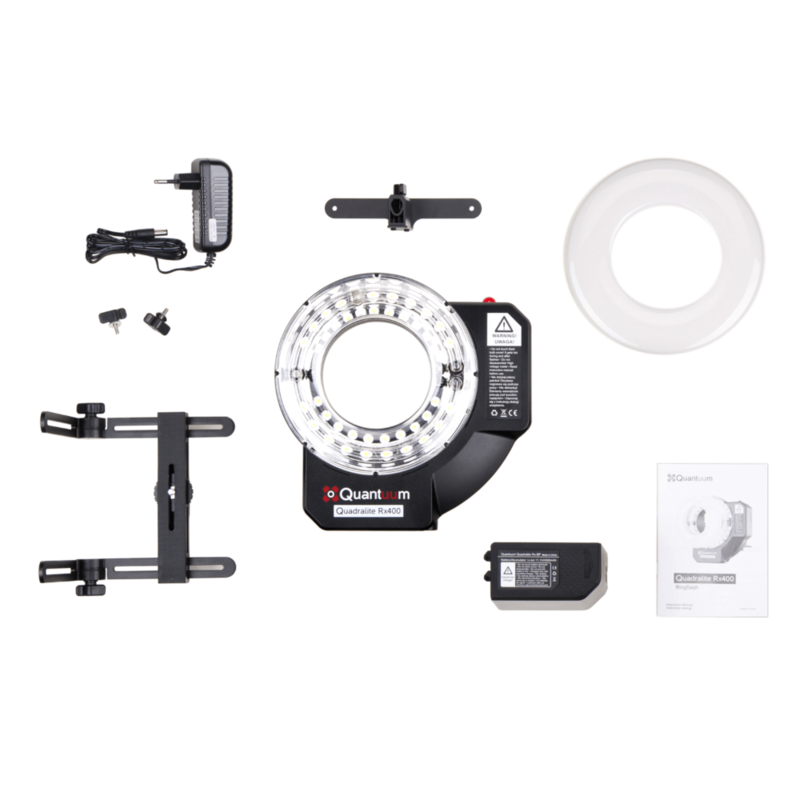 Quadralite Rx400 Ringflash is a perfect tool for all photographers dealing with fashion and portrait photography. With the ringflash's uniquely shaped flashtube you will obtain the light of exceptional qualities. Subjects portrayed with Quadralite Rx400 Ringflash have a soft, almost shadow-free contoures. It can also be used as a fill flash and creates extraordinary catch light in the eyes of a model. Flash power adjustment covers up to 7 f-stops. If you prefer shooting with shallow depth of field, from a small distance, you will appreciate an option to reduce flash output to the minimum level of only 3Ws. Flash power may be adjusted with the accuracy to 1/3 EV, which will allow you precisely select the intensity of light. The flash features a milk-white diffuser made of plastics to soften and even distribute the light emitted from the flashtube onto a photographed subject. HS (High-Speed) mode is the flash's very important function. It makes it easy to synchronize the flash with a shutter speed shorter than X-sync. 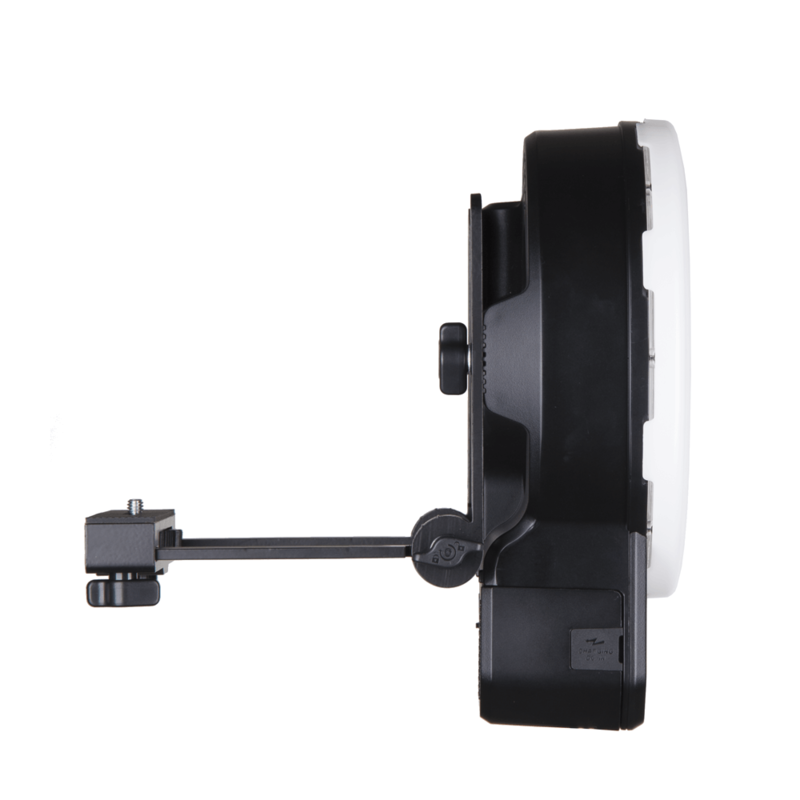 This function is especially useful in a studio and with strong light, when you may need to balance ambient light with the flash. But the product is designed not only for portrait photography. Its qualities can be also used in advertising photography, where ultra-short flash duration freezes water drops or other fast moving objects. With the minimum power output the flash duration is only 1/10000s (t0.5). Such a short flash will give you a chance to capture the scenes that only last a fraction of a second and cannot be registered with your eyesight. It's also worth to mention that after triggering such an instant flash, you will be able to resume shooting just after 0.05s. 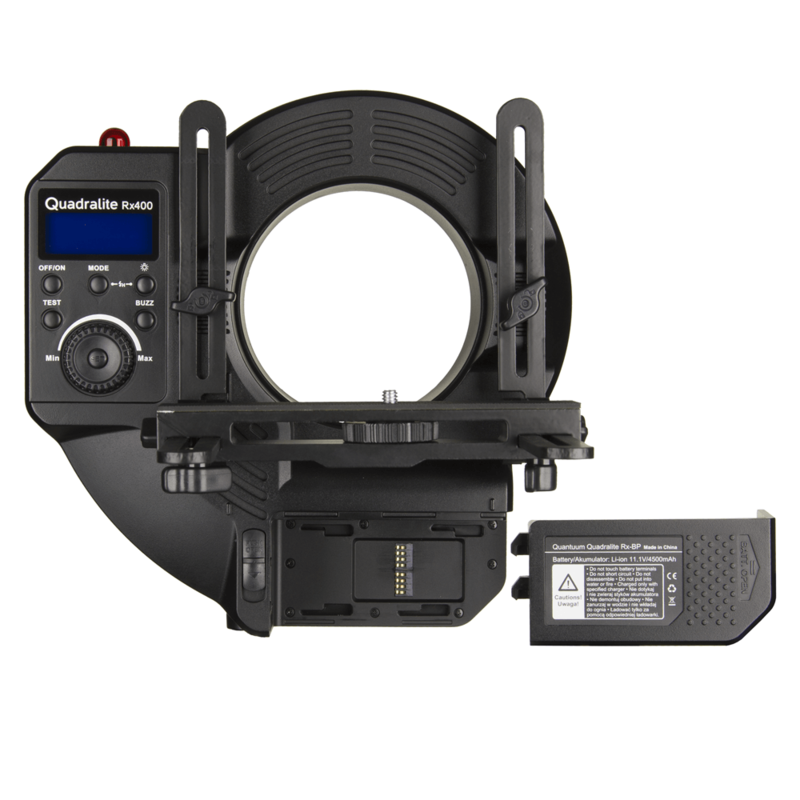 Moreover, Quadralite Rx400 Ringflash comes with a stroboscopic flash mode (Multi) that gives a great possibility to register dynamic shots. 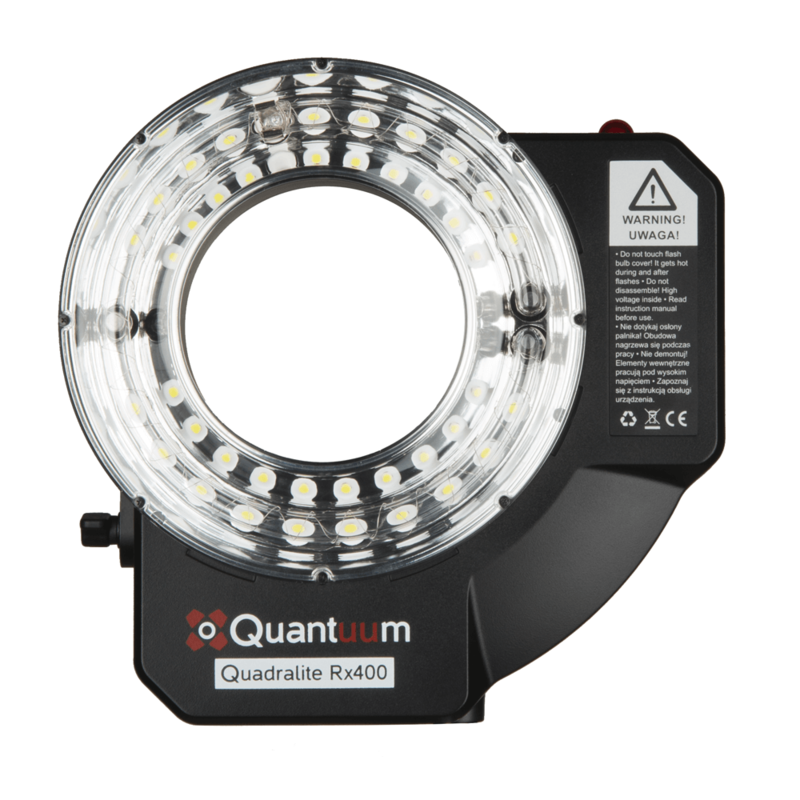 Energy-saving LED modeling light is yet another benefit brought by Quadralite Rx400 Ringflash. It can be adjusted at three illumination intensity steps which allows for comfortable operation, especially in the studio. This type of illumination works really well for lenses with manual focus adjustment. Moreover, the pilot light allows to quickly evaluate the light's quality even before you press the shutter button. 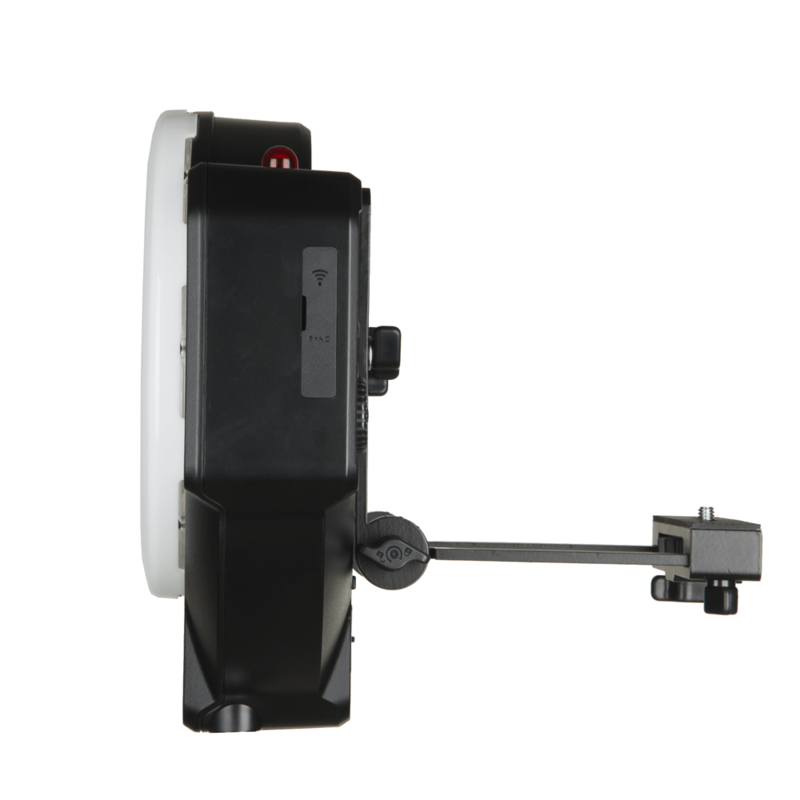 The flash can be triggered through a cable (standard PC-sync socket) or a photocell which allows to synchronize the flash with other flashes, i.e. on camera flash. Except for these two methods, you can also trigger the lamp using a wireless Quadralite Navigator system, you will only need to connect the device to the remote control port (Quadralite Navigator controller is sold separately). Using a wireless controller ensures not only increased comfort of shooting (no cables), but also adds to repeatability and precision to each shot. 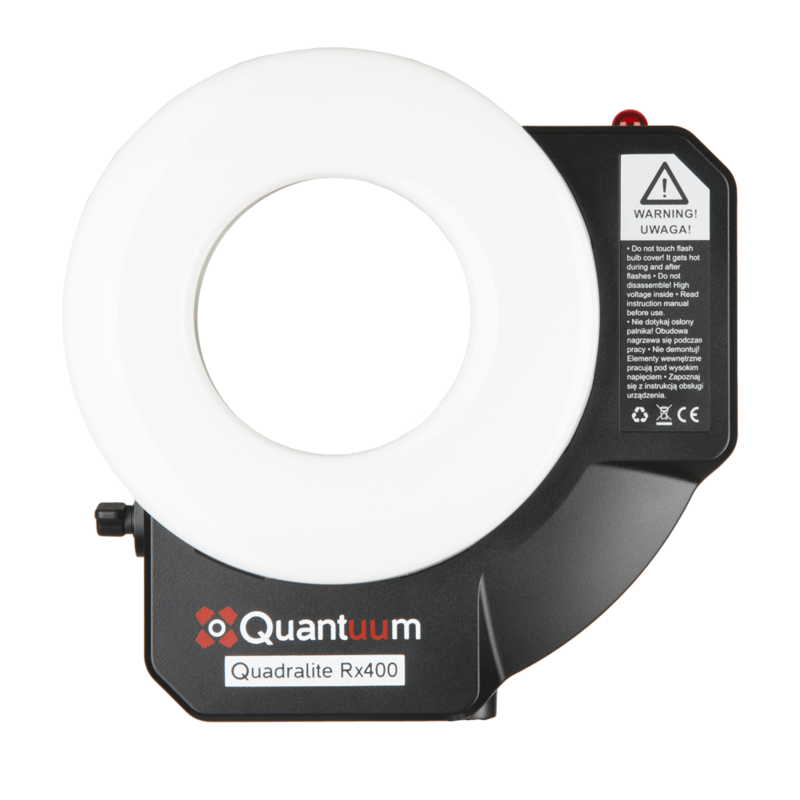 Quadralite Rx400 Ringflash may be freely combined with other Quadralite flashes, including Pulse, Move and Up!, which also use wireless Quadralite Navigator controllers. Quadralite Rx400 Ringflash is powered through the efficient lithium-ion Quadralite Rx-BP battery with the capacity of 4500mAh, and thereby does not require any cable energy source. A fully charged battery triggers up to 450 full-power flashes to let you enjoy a full comfort of shooting, especially during long sessions and in places without any access to the electricity network. 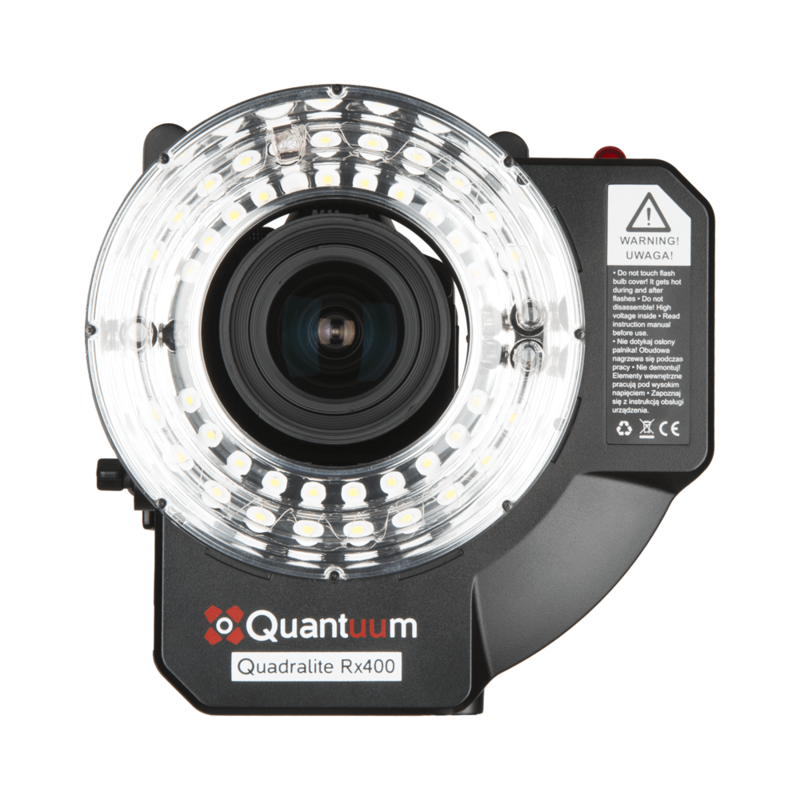 Quadralite Rx400 Ringflash is fitted with an adjustable metal bracket for camera assembly. It comes with a standard 1/4"-20 tripod thread, compatible with all cameras. Internal diameter of the ring flash is 95mm so that you could easily use it even with medium format cameras. Two tripod mounts (on the flash's body and camera bracket).